PayPlan Scotland speak to hundreds of clients in Trust Deeds every day. Some questions come up time and time again, so the team at PayPlan Scotland have put together a list of the Top 10 things they get asked about Trust Deeds by clients – and the answers! 1. What happens if I come into some money during my Trust Deed? If you receive any ‘windfalls’ of money during your Trust Deed – for example a lottery win or inheritance – you will have to pay this into your Trust Deed. This is because ‘windfalls’ of money are seen as an asset by your creditors, and the funds will be used to increase the amount paid to them. If your ‘windfall’ amount is enough to cover 100% of your total debts (plus any fees and statutory interest), you will have to repay everything in full, and any remaining funds will be returned to you once your Trust Deed is fully paid and completed. 2. 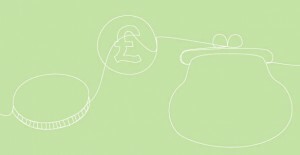 Can I borrow money whilst I’m in a Trust Deed? When you’re in a Trust Deed, it is advisable not to take out any further credit. And anyway, as your credit rating is adversely affected, you’ll probably find it difficult to take out any further borrowing until after your Trust Deed has been successfully completed. In some circumstances, you may find you do need to borrow money during your Trust Deed – please always discuss this with us before taking out the credit. Any credit you take out during your Trust Deed will probably come with a high interest rate, which is likely to mean high monthly repayments. It’s important to note that any credit you take out after you’ve signed your Trust Deed won’t be included in your debt plan, so you will need to make the monthly repayments yourself. Remember that if you fall behind with your repayments on any borrowing taken out during your Trust Deed, the lenders are fully within their rights to add fees & charges, and pursue legal action against you to recover the debt. 3. What happens after I complete my Trust Deed? Once you’ve made all your agreed monthly Trust Deed payments, your Trustee will apply for your discharge from the Trust Deed – as long as you have met all your obligations as set out in your Trust Deed proposal. This discharge stipulates that your creditors must write off your outstanding debt to them, and they can’t pursue you in the future for any of the debts included in your Trust Deed. 4. Why do I have to pay any additional income into my Trust Deed? All Trust Deeds have an ‘overtime, bonus and commission’ clause in place, stipulating that additional income needs to be paid into your Trust Deed for the benefit of your creditors. Some Trustees may require you to pay 100% of any additional income into your Trust Deed. With PayPlan, if your additional income is equivalent to no more than 10% of your normal monthly income, you can keep it all, as you won’t have to pay any of it into your Trust Deed. If your additional income is equivalent to more than 10% of your normal monthly income, you will only have to pay half of the amount that falls over the 10% limit into your Trust Deed. This policy allows you to benefit from the extra work you’ve done, whilst also ensuring that your creditors get a share of your additional income to go towards repaying your debts. 5. How does being in a Trust Deed affect my credit file? As a Trust Deed is a personal insolvency plan, it will show on your credit file for 6 years from the date that you sign your Trust Deed proposal. If you receive any default notices after this date, they can be backdated to the date you sign the proposal, so your credit rating is affected for no longer than the original 6 years. 6. What happens if I have a change in circumstances during my Trust Deed? Your Trustee will complete a yearly review with you to check that your personal details and income & expenditure details are up-to-date, and make amends if necessary. However, if your circumstances change in between reviews, we can complete an income & expenditure review with you at any time. By doing this, we can make sure that your agreed monthly Trust Deed payments are still affordable, and propose changes to your creditors if needed. All we need you to do is contact us as soon as you become aware of any changes, so we can review everything with you straightaway. 7. What should I do if my creditors contact me during my Trust Deed? If any of creditors included in your Trust Deed make contact with you to chase payments, tell them you are in a Protected Trust Deed with PayPlan Scotland. Let them know the date you signed your Trust Deed proposal, and advise them to contact PayPlan Scotland with any future enquiries. Feel free to tell them our phone number and your Case Reference Number. 8. What should I do if I can’t afford my monthly Trust Deed payment? If you’re having trouble making your agreed monthly Trust Deed payment, contact us immediately to let us know. The sooner you let us know about this, the sooner we’ll be able to discuss a solution with you. If you miss a payment without giving us prior notice, you will be in breach of your Trust Deed arrangement. We will contact you urgently to chase the payment – and to ask why you have missed it – so that we can keep your creditors informed of the situation. This is important because any breaches in the arrangement could ultimately lead to the failure of your Trust Deed. 9. What happens if I lose my job while I’m in a Trust Deed? As every situation is different, we always suggest you contact us immediately so we can discuss the next steps with you. One of the options could be a payment break – putting a halt to your monthly Trust Deed payments until you have found new employment. We appreciate this might be a difficult time for you, and we will always work hard to find the best solution for your particular circumstances. 10. Will you provide my creditors with an update on my Trust Deed? Yes. At each anniversary of the start of your Trust Deed, we will send all your creditors a report of what has happened with your Trust Deed in the previous 12 months. This will include details of any changes in payments, any missed or additional payments, and what dividend (payment) your creditors are due to receive. If any of your creditors have queries at any other time, they can always contact us for an update. My wife is in a trust deed and has to pay back the equity in the house. The house is solely on her name and the debts are all hers as well. The trust deed did not give any leivay for me or our 3 children.Can I claim anything for myself or our 3 children from the equity? She doesnt have any surplus income and I pay the mortgage. Hi Mohammed – I have raised your query with our Trust Deed specialist here at PayPlan. He has confirmed that as the house is just in your wife’s name, she can be required to release part of the total available equity to pay into her Trust Deed. If you were joint owners, she would only be required to release part of her share of the equity. However, if you have a deed of trust (or any other such documentation) stating that you are entitled to some of the equity, then your wife should show this to the Trustee of her Trust Deed. I hope this helps. I was made redundant in October last year and entered a trust deed in December 16 (it is now protected ) I have recently been re-employed by the company on an significantly increased Salary, it is an initial 6 month contract but may be extended if they win a further extension. (I work overseas). Do I need to inform my trustee of this or can I save the extra money and pay a lump sum into the Trust Deed when I have enough to pay it off completely,what legally must i do? You need to let your Supervisor know immediately as this is a legally binding arrangement. Failure to inform can lead to them taking further action and your Trust Deed could fail. Tell them all the facts you have told me. I have been told that if I owe £6500 to a loan (£15.000) with intetest, in my name and my wifes name. If we decided to both go on a trust then we would owe them £30.000 as they will charge us both. In the United Kingdom – where this page works from if you have a loan in joint names you are jointly and severally liable. That means if one pays nothing the other pays the full amount. However, they cannot take more than the £15,000 in total! If you are talking about a Trust Deed it is the same – but the creditor will get a dividend from you both. Speak to your local insolvency practitioner about this if you already have one or contact Payplan where we have a dedicated team who work with Scottish clients. My wife recently got a tax rebate and the trust deed kept it. She now has found out she has over paid to her pension. And trust deed are taking that too!? How did trust deed even know of these payments? Because they will get the information from tax codes on P60 or payslips? Speak to your supervisor if you are concerned but remember that she signed proposals for this and the IP are supposed to get the monies she promised she would pay into it the Trust Deed and there are limits into what can be paid into pensions. I have a Question can the trust deed b/w 2 people can be signed on a holiday or not …. and what about the font of the trust deed is typed; is their any restriction in UK Law. I am not quite sure what you are looking for here. However; So long as your main centre of interest is Scotland (ie you live there and you work is carried out there ), it is not going to matter where it is signed although for obvious reasons – post etc – I would wait until you get back home. It does not matter about the font – it is a deed drawn up by the Insolvency Practitioner, they can get it up and running quickly but after signature it takes several weeks to become protected as the creditors are informed. And that is what you want – a protected Trust Deed. If you wish to find out anything further please give Payplan a call where a trained adviser from Payplan Scotland can give you more information. I would suggest you speak to your supervisor of the Trust Deed as it should reflect your situation. Well as I said we cannot comment on processes of other Insolvency Practitioners. However, write to them and say you want an explanation and if you do not get one you would like a copy of their complaints procedure. You could also visit a local money advice centre such as the Citizens Advice Bureau and ask for their advice re complaining. One of our specialist IPs has said: I think that client needs to explain situation to the Trustee and ask for a review of their I&E so their payments can be reduced to an affordable level. I’ve just entered a trust deed, and payed my first installments. I’m still receiving mail and text messages from credit card companies chasing me for money, and threatened to pass my details to a collection agency for payments. I’ve already passed my credit card details to my trust deed and informed the credit card company a number of times of this. Is there anything else I need to do? Speak to your case officers in the Trust Deed as they will have circulated things to creditors as you know. They cannot take further action if it is now a protected Trust Deed but sometimes they need reminding as it takes time to permeate down. I am so sorry to hear this, Betty. I am afraid you need to talk to the supervisors of your Trust Deed as things should be clear in the proposals. You need to let them know why you need the carers – as indeed you do – and the things you now need help with in the house as that is why you are getting attendance allowance under terminal rules. Basically as the creditors are writing off debt they like to see where the attendance allowance is going but it has been awarded as you are not well enough to do basic things. In other solutions this can just go in and out as a benefit needed but for Trust Deeds, creditors seem to need more information. It is the same in England for IVAs – think about the help you need to keep the house clean, do your garden, clean your windows. More TV as you cannot go out much and petrol or public transport and taxis to get you to hospital. Attendance allowance is not just to pay for care physically when you do not need it but to make life easier doing the things you cannot do. However, the creditors should also be told you have a terminal condition which is why you are getting this and the creditors should be informed also. The IPs can ask for a variation meeting surely as you have been in your trust deed now for nearly four years. If you do not own a property then bankruptcy would not ask for this to be broken down in a budget. Much would I need to pay back? You will need to discuss this with your supervisor but I think that damages for pain and suffering are exempt – compensation for loss of earnings isn’t. A company has contacted me, saying they can give me a bank loan to pay off my trust deed, to get my credit score good again, how does this company know this about me? And is this true? Your trust deed is going to sit on your credit file for 6 years from when it was set up so borrowing money to repay it – which of course cannot be at any more than the amount you are paying into the Trust Deed as you would not have any more available – is not going to clear it from your file. How can you afford to borrow more money, what is the rate of interest? There are lots of variables and I would check with my supervisor to see how and if this is going to be possible in your case. They will ask you if you have ever been in an insolvency solution and if this is the case then it could go into the Trust Deed making more money for creditors. I’m a single parent currently on a trust deed I have been accepted for college but I’m now starting to worry if my trust deed will take all of my bursary and student loan as I will still be working ! How much of my college income can they take off me? You need to discuss this with your supervisor at the insolvency practitioner who is doing your Trust Deed – remember if you have no other income, how on earth will you be able to make ends meet? I’m I to a year in trust deed and I’ve been fighting for child maintenance arrears which I’ll be getting is this included in a trust deed. I’ve been fighting for it since 2010 for my children’s future. You need to check this with your supervisor – it is money you were owed when you went into the Trust Deed so do check. However, you do need also to tell them if you are going to continue to receive it going forward as that would impact on your income and expenditure. I said you would need to check with your supervisor. With regard to payments moving forward your income would be increasing and as a Trust Deed is a legally binding arrangement you would need to inform them of this increase if it happened. It may well change your expenditure also so do not be afraid to let them know. It is always better to let them know yourself as they are not usually very happy if they find out changes from third parties. With regard to a full and final settlement of the total amount owed – as remember the reduced amount is what the Trust Deed dividend would make if satisfied, then again ask your supervisor if there is a possibility of a lump sum. To do it yourself would mean the Trust Deed having to fail and thus losing its protection with no guarantee that creditors would accept your offers. If you are finding it tough to manage the payments, then again, please let your supervisor know as they have an obligation to you that the payments be realistic and sustainable so that the Trust Deed would succeed which is why they go into so much detail originally. If you are in a Trust Deed with Payplan Scotland, just let me know and I can get your queries to them. I am afraid I cannot answer in any more detail as I am not an expert in Trust Deeds and your proposals should show what is necessary. The supervisor is on your side as he wants things to succeed so really they are the ones to ask. l have loans and credit cards totalling 60k but the largest is with cr smith and a buy now pay in 12 months offer so not actually made a payment yet, also my wife and myself jointly have the mortgage and there is roughly 60k of equity with 50% of this being mine and l was told this would be fine as my debts far outweigh my debts is this correct? You were told what would be fine? Are you talking about whether you could look at an IVA – without knowing more of the circumstances I cannot reply. Hi please can you confirm when a trustdeed is removed from you credit file…some information I have read states 6 years from completion/discharge and other sites say 6 years from when trustdeed was set up? A Trust Deed is registered on a credit file when it is set up – or a month afterwards as it depends on when they are updated. Anything on a credit file remains on there for 6 years from the date it is set up not when it is completed.